According to the World Health Organization, health is a state of complete physical, mental and social well-being and not merely the absence of disease. Dogs have walked beside men for more than fourteen thousand years improving the chances of survival of early human groups and together becoming one of the most beautiful and interesting inter-specie bonds in history. Nevertheless, it was not until recently that numerous studies evidenced the benefits that accrue from the relationship between pets and humans and the effects of pet-facilitated therapy on the physical, mental and social dimensions of the human health. Since then, many organization dedicated to promote and regulate the actions of therapy dogs and their volunteer handlers began to spread all over the world. In order to learn more about this kind of organizations in Canada, we talked to Barb Kelly, Director of Children’s Programs of Therapeutic Paws Of Canada (TPOC), a volunteer-based therapy dog and cat visitation program with a wonderful humanitarian mission: visiting nursing homes, hospitals and other institutions where therapy dogs are welcome or needed to offer physical, mental or spiritual support and contribute to the healing process. Barb, how long have you been at TPOC, and how was TPOC created? I have been part of TPOC for seven years. TPOC was founded ten years ago and celebrated its ten anniversary in August 2012 when it received its letter of patent. 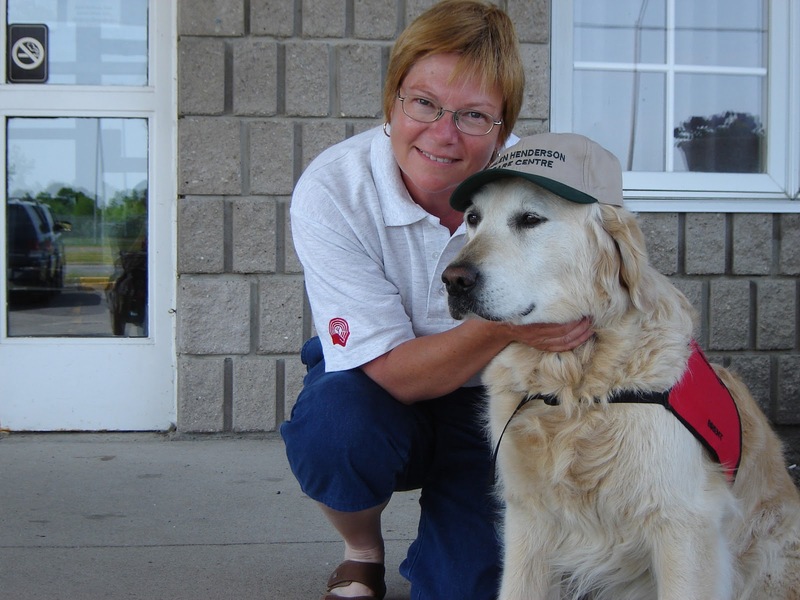 Our founder is Judy Sauvé who started in Hawkesbury, Ontario with herself and five others teams, which includes a handler and either a dog or a cat. The six members that we had when we started have now grown to 550 teams, 130 of them are Child Certified as well. Some of them are what we call non-visiting, i.e. people who are part of the organization, but who do not have any animal at that particular time either because their pet is retired, or simply because they do not have pets. Most of our therapy animals are dogs, but we have fifteen certified therapy cats. As the Director of the Children’s Program, I am really happy to report that we have one child certified therapy cat, Rhu, working on our Paws to Read Children Program at the local library in Charlottetown, Prince Edward Island. Furthermore, we have had inquiries for evaluating other types animals, but we stick to strictly dogs or cats. Is which Canadian provinces is TPOC present ? We are represented in six provinces: Nova Scotia, Prince Edward Island, Quebec, Ontario, British Columbia, and New Brunswick is on board now. We actually have therapy dogs working with adults and children in every one of these provinces, which implies that we have child certified members. What inspired you to become a team with your dog? I have worked with dogs and trained them for about 33 years now. I worked with both, animals and children, that’s how I came about to be the Director of the Children’s Program. knowing when there is a need that makes him a great therapy dog. These dogs will look at a room full of people and they will know who needs help, it is a sense that they have. Also, there was another lady who was at the time related with TPOC that saw Brent's great potential and made me consider therapy work. She highlighted my dog's aptitudes to love everybody, be very patient and interact well with other animals as well as people, specially children. Then, I got in touch with TPOC and I went for the evaluation and completed all the procedures. What are the requirements and procedures to follow in order to become a team? Regarding the handler, all our members have three personal references as well as a Police Record Check. Because we are working with seniors and children, we need to assure that they will be safe at all times. We have members of different ages, many of them are retired people who can devote time to the program. 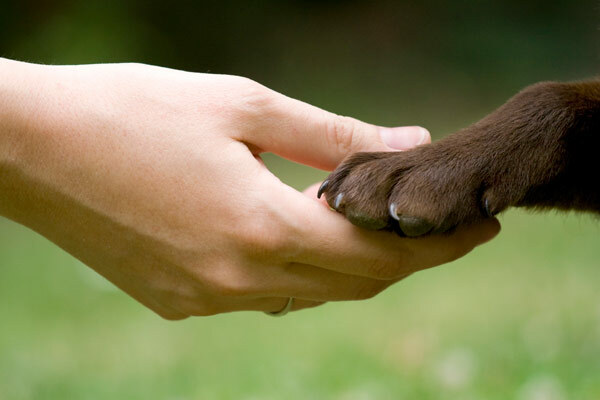 Handlers are people with good social skills and interaction. They have to want to be there and work with people. Concerning the animal, there is no restrictions in terms of age, as long as they are one year old. They can be dogs or cats, pure or mixed breed, they don’t have to have papers, they can be rescue animals. In terms of temperament, therapy dogs are patient and sociable, i.e. they love to interact with people and other animals in a gentle way without anyone feeling threatened. The animal, cat or dog, must be evaluated, which means they must be tested by an evaluator to see if they can be a therapy animal. For all our animals, there must be proof of vaccination or a health certificate. If the animal can't have any vaccination, they need a health certificate, a health clearance from their veterinary. Once the dog passes the evaluation, they must complete four monitored visits accompanied by a a team leader, an evaluator or a senior TPOC member who goes with the dog and the handler to the facility to monitor everything and then write a report. The facilities can be nursing homes, retirement homes, hospitals, etc. Once you get everything in order, i.e. your references were checked, your dog fulfilled all requirements, you have been assigned a place to visit, and you have completed the monitored visits, you fly on your own. Most teams do weekly visits, but you can visit five days a week. Each handler is insured for third party liability and, due to the insurance coverage, the length of the visit can not be more than one hour. 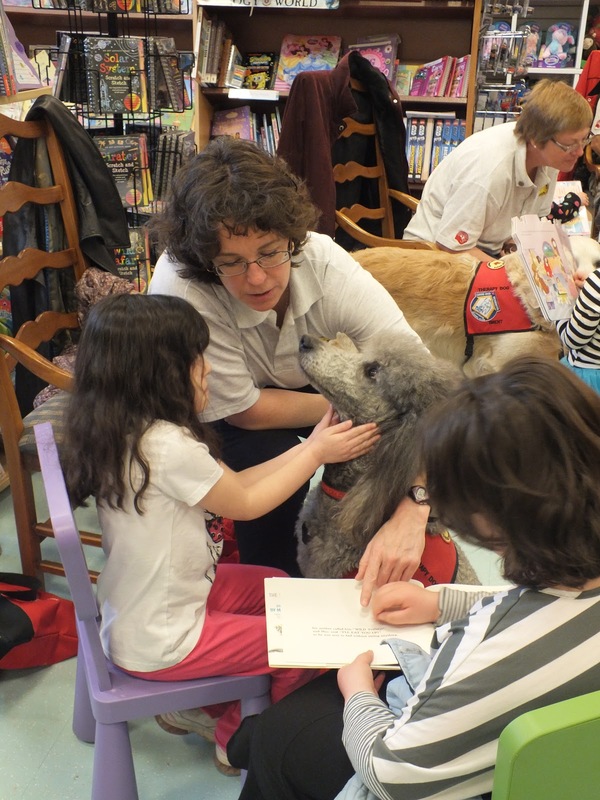 Child certified therapy dogs can also visit seniors and work in public libraries in our Paws To Read program, but never on the same day. We are not allowed to work in private homes, even if the dog is a certified therapy dog for children, we work in libraries, classrooms, health facilities like for example Sick Kids Hospital and Ronald McDonald House. Also, we provide our members with educational seminars what we call Best Practice Seminars in order to keep them educated and updated as well as prepare them to handle the highest level of risk that could ever arise during visits. What are the abilities tested during the evaluation? During our evaluation, we look at the handler and the dog's social skills and interaction and try to duplicate everything they may encounter in a nursing home, such as wheelchairs and walkers, in order to evaluate the dog's reaction and the handler's ability to avoid somebody feeling threatened or afraid, since quite often when you enter a nursing home there are other dogs and handlers. A child certified team must be able to interact with children. We use young volunteers to test the dog's behavior. For example, if the child is playing with a toy we can not allow the dog to have the toy. Children in health facilities are sick, so you may encounter a child in a special situation that the team must know how to handle. A lot of people call asking if they can be evaluated to work with kids, but it does not work that way. It is required that they have spent at least six month working with seniors or adults before being evaluated as a child team. By visiting one placement for six months, the handler and the animal can acquire experience and the dog can get in the pattern and habit of visiting. For instance, even if I go out to monitor a visit, as soon as I put on my TPOC shirt, Brent runs to the door wagging his tail as if we were going to visit, because of his past experiences. Experience is what makes it that it can only get better as you go on, and I have learned so much from the people I have worked with and from my dog. He has really taught me a lot, because of his instinct and his sense, which allow him to see somebody down the end of the hall and guide me to meet the person. That is what makes a good therapy team, the bond between the handler and the dog or cat and the fact that they instinctively know who to go see. It is just amazing! According to your experience, what are the benefits of pet-assisted therapy? I think that number one, it does not matter who you visit, whether they are young or elderly, the first thing you see when the animal enters the room is a very calming effect. Animal visitation is a stress buster, it gets people to relax and reduces blood pressure, loneliness and sadness. I have seen this with residents and patients that have dementia. I have visited some who were, poor souls, having an awful day and we would walked into the place and it kind of broke that cycle. It works for absolutely everyone, even students at university. Some of them are adjusting to many changes, such as being away from home, living on their own and suffering the stress and pressure of university studies, different from high-school. Therapy dogs help reduce healing time after surgery and I call them the best physiotherapists in the world, as they help muscles relax. They also are great motivators, who can make people get out of their chair and take the walker. 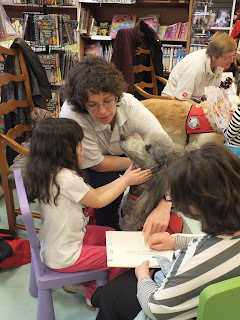 They also motivate children to read and practice reading by telling the story to the dog. They also help break social barriers and limitations, even when people do not like dogs. They allow people to create conversations, relive funny memories, and this improves their confidence, self esteem, comprehension, and learning skills. Today, somebody was asking me how do you get a child and a dog working in a read program? Normally children and animals have similarities. They have the same quality, they are very trusting. Naturally, dogs love children. Besides, touching an animals stimulates and produces feelings of happiness and relaxation and the beneficial effects of it are amazing. How do you establish contact with people who demand pet therapy services? Usually, they contact us and ask if we have a therapy team. In the case of children, they call me as the Director of Children’s Programs. Unfortunately, sometimes we dont have teams in all areas that is why and what we work for, to offer the services in more locations. How can people who do not have therapy dogs or who are not registered be part of or contribute with TPOC? We are a non profit organization, we are all volunteers and we solely rely on donations and people's generosity. We have to start up new teams in different places and send the evaluators and a team leader in place to ensure that the team is prepared and adequate for working. We also need to keep our teams educated and up to date with policy and procedures. There is a lot of cost involved in this, which is all covered with donations. We always welcome any contribution that can help us continue and grow our mission as well as provide our service safely and effectively in every location, bringing the wonderful effects of animal therapy to anyone that could need it. What is the effect in the handlers? Definitely it produces a happy feeling. It is awesome to work with your dog I personal had problems with coming to realization to my boy should retire. He is 12 years old in great physical condition and I wanted him to retire on a high note. I will miss going every friday to visit. As a handler, personally, I feel so blessed and thankful for what I has. Being able to share your dog, something that you love, and see your dog get people to smile,happy and involved them into conversation it is such a nice feeling to see that you are helping other people. Barb also shared with us some beautifull stories where Brent's work as therapy dog made ​​a difference in the lives of others and will be forever in her heart. We will share them in our next articles. If you have any story about therapy dogs and you want to share them you can leave your contact informations in the comment box.